Great baby gate parts replacement for Wall Damage-Free. - Protects Walls From Damages Caused by Safety Pressure Gate Spindles on baby gates and dog gates - Helps Stabilize Gates So It Won't Slip and Slide - Small Compact Size - Fits In More Places (Doorways or other small places) - 100% Safe. Retinol something that needs to be a part of your skincare regiment if you are in your late 20's. When I started using retinol many years ago my motto was "delaying is easier than reversing" and at my age, I can say that it couldn't be truer. Retinol is a class of anti-aging compounds used to help fight acne, collagen production, cellular turnover and reduces wrinkles. 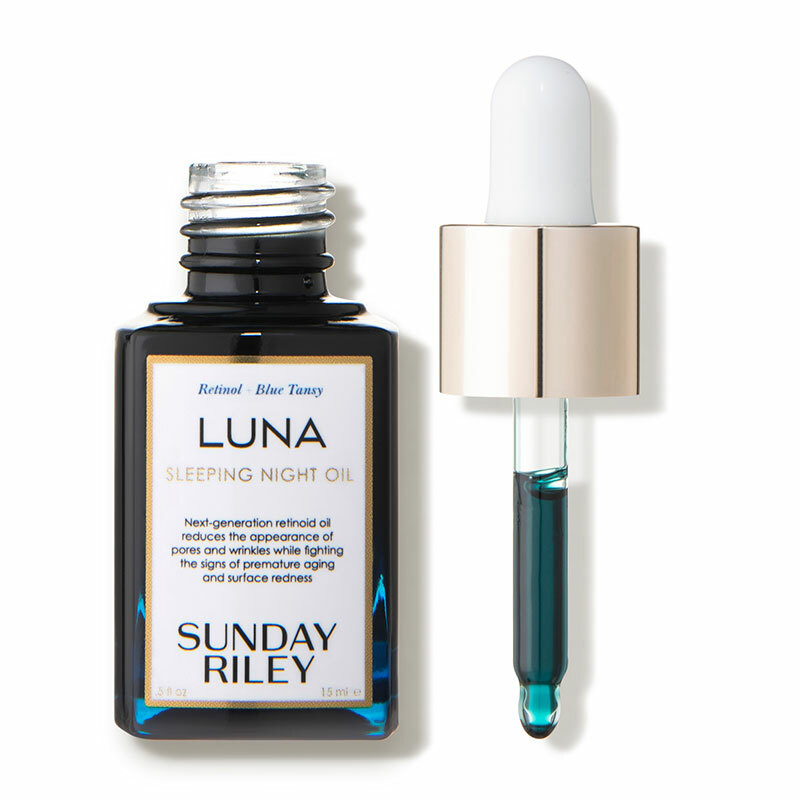 Sunday Riley's Luna Sleeping Night Oil also contains blue tansy, which I seriously have fallen in love with ever since I got my Sephora Play with a sample of Herbivore's Blue Tansy Mask. The azulene in blue tansy, as well as the German chamomile and cape chamomile oils, work wonder for soothing any kind of redness. With only a few months of use, I have to say that I have fallen very hard for Luna. I used Help Me by Philosophy in the past and while I don't have anything bad to say about it I'm all over the oil craze which makes this a star in my eyes. Plus I noticed my skin looking less tired in the morning after a few days which is pretty rare for someone that usually has a rough time getting a full night of sleep. The price tag of Luna is steeeeep! Before I starting using this product the total cost of my skincare regiment was under $105. Now it's almost triple that amount thanks to this and other products I'm using. And I buy this about once every 6 weeks. And if you're not diligent about applying sunscreen whenever you're out, no matter the season, this is not recommended. Anytime you use a product with retinol you must apply sunscreen in the morning to not damage your skin. I use a tinted moisturizer with SPF that covers the three basics: light coverage, moisturizing, and sunscreen. 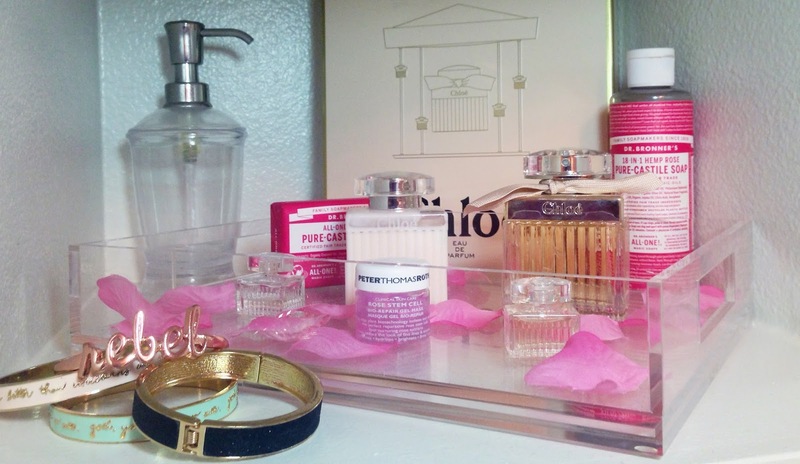 Usage: After washing and drying your face with your favorite cleanser massage a few drops onto the skin. I prefer mixing this with a few drops of my Acure Seriously Soothing Blue Tansy Night Oil. Consistency: It's a thin serum that doesn't easily mix with others which is a good sign. Would I use it: Would I or do I? I use it religiously and not only has it been doing wonders for my skin, I really like seeing this on my nightstand when I do my nightly skincare routine! Where to find: If you're an in-person shopper or want to keep on redeeming your Beauty Insider points Sephora is the way to go. They always have it in stock so you're guaranteed to not miss a beat. BUT, if you order this from sundayriley.com you can save 10% with the subscribe and save option. If you're going to use this nightly it's a good idea to always make sure you have your next bottle ready and a .5oz bottle will be delivered every month for $49.50 with the 1.18oz coming out to $94.50. Oh, but it gets even better. I recently started ordering most of my skincare products from Dermstore because not only do they have Luna for 15% off with their subscribe to save offer but you can choose to receive it every month, every 2 months or every 3 months which is a better deal. The larger bottle lasts me about 2 months so I don't feel pressure to saturate my skin in it to avoid having a ton of bottles on reserve. At Dermstore getting these anywhere from 1-3 months will cost $46.75 or $89.25 so it's obvious where I'm shopping. FYI: This post isn't sponsored by any of the linked brands or stores. Clicking on a link will direct you to the corresponding site but they are not affiliated links so I won't receive any benefits or rewards. I've learned from years of obsessing over decor blogs and magazines that if you don't have a pretty coffee table then you don't really have a coffee table at all. A cute coffee table is totally the key to not only having a showable living space but also a really enjoyable one. It's a great place to keep your tablet/laptop, a few magazines and yes, even that infamous cup of coffee when you're getting ready to get your day started. Whenever sleep actually hits me I think it's safe to say that I'm a great sleeper. I'll wake up in the same position that I went to bed in and I feel 100% rested. These days are super rare but when they hit they're pretty damn amazing!